New adidas Consortium in Store Saturday 6.8.13. 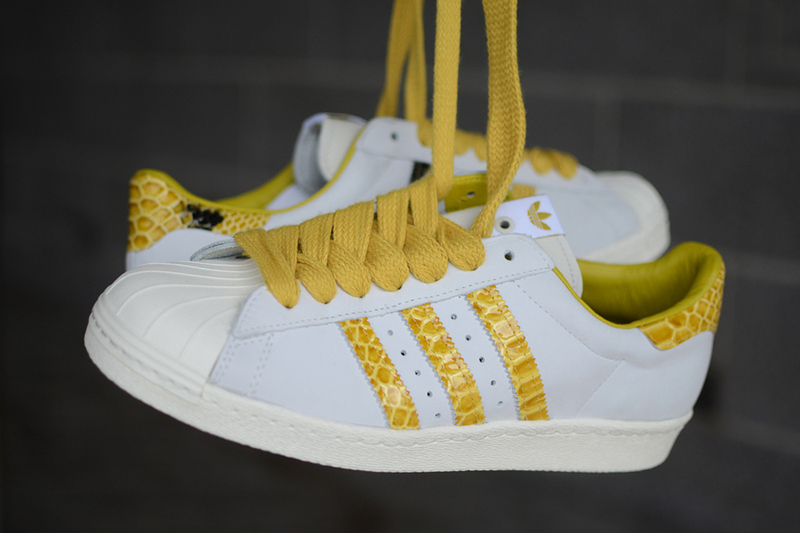 Adidas Superstar 80s. Back in the Days. In 1969, when the Superstar was first unleashed, New York was beginning to establish itself as the epicentre of graffiti culture. As the volume, detail and size of graffiti tags grew over the subsequent decade-and-a- half, so did the status of these low top versions of the Pro Model basketball shoe. 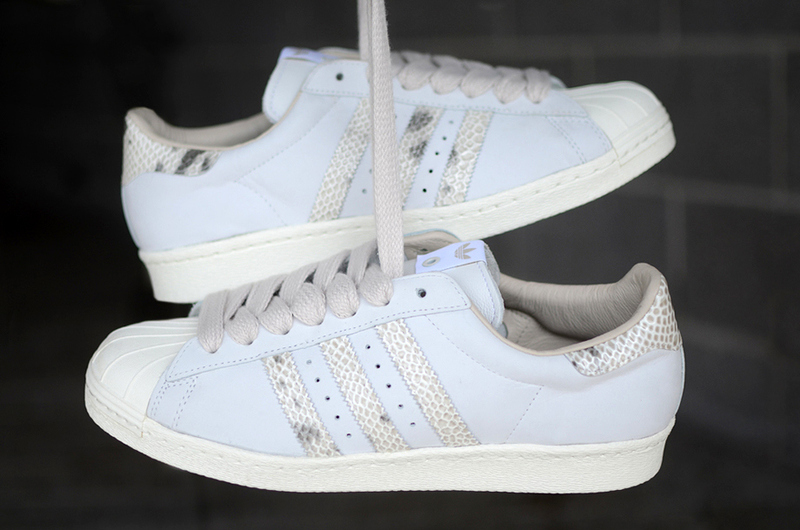 The Superstar, the first ever leather low tops, was originally championed solely by top-level ball players but this iconic shell toe shoe eventually transcended the court, making its way onto the streets and becoming an inherent and vital part of youth culture. In the early 80s, the worlds of grafitti and hip-hop, both with strong foundations in the Bronx, began to become intertwined as they both started to make mainstream waves. 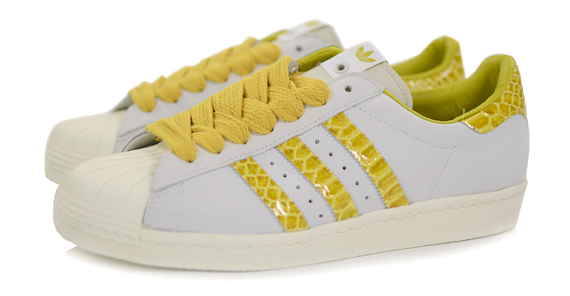 The Superstar was the shoe of choice for many of the major protagonists of these NY-based movements. The shoes feature soft nubuck for the upper combined with supreme snakeskin stripes and heel tab, soft leather for both lining and tongue. The shoes come with a special tongue construction and are wearable without laces – like‚ Back In The Days. They each come with regular off- white and extra fat laces matching the stripes color. Special b/w graffiti artwork for sockliner and wrapping paper to round out the pack.